The Galapagos Islands, an Ecuadorian archipelago straddling the equator in the Eastern Pacific, is a remarkable underwater paradise. The central and southern islands hold a wealth of temperate as well as tropical marine creatures due to the mixing of currents there. However, it is the northern islands of Darwin and Wolf that divers typically look forward to the most on a Galapagos dive trip. These two islands, along with the smaller Roca Redonda, are the best places in the Galapagos — and indeed one of the best places in the world — to encounter whale sharks. On our first dive at Darwin in 1996 the group had left me behind, riding the current back to the anchorage, while I spent my air exploring the area where we were dropped at Darwin’s Arch. 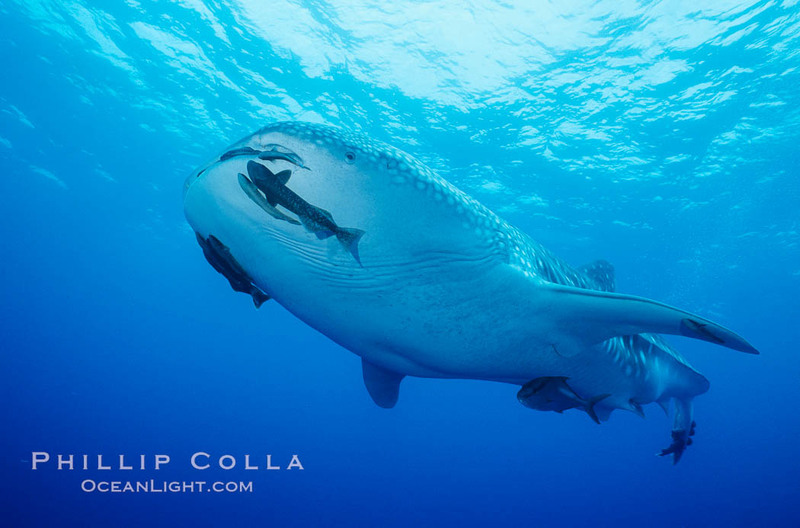 I met up with a young whale shark who happened along and allowed me to swim alongside him for 20 minutes taking photos. Eventually the shark and I caught up with the rest of the dive group, and as each diver noticed us he would swim over and join. Eventually everyone got a good look at the huge shark. 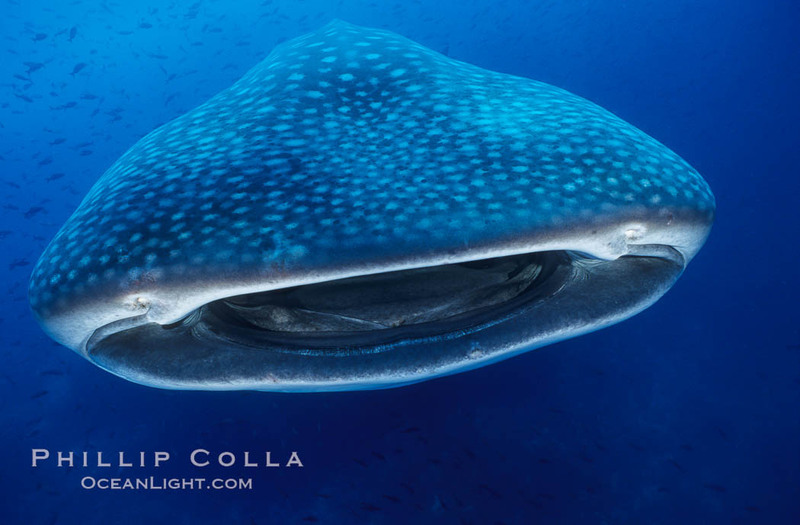 Keywords: whale shark photo, Galapagos, Rhincodon typus, Darwin Island, underwater.